This entry is part 1 of 4 in the series Sustainable Belgium. Like most children, I was obsessed with dinosaurs. I loved reading books about these incredible creatures who roamed the earth long before humans crawled out of the primordial ooze. I even went through a phase of wanting to become a palaeontologist, to uncover the secrets of these ancient reptiles. And while I don’t think about dinosaurs often in my day to day adult life, I can still admit to a lingering fascination. Despite my interest in things dino, I had no idea Belgium has a very important dinosaur connection. When I think of the world’s great dinosaur deposits, I picture dusty deserts in the United States or the vast prairies of Canada; (Alberta is home to the world’s largest dinosaur graveyard.) 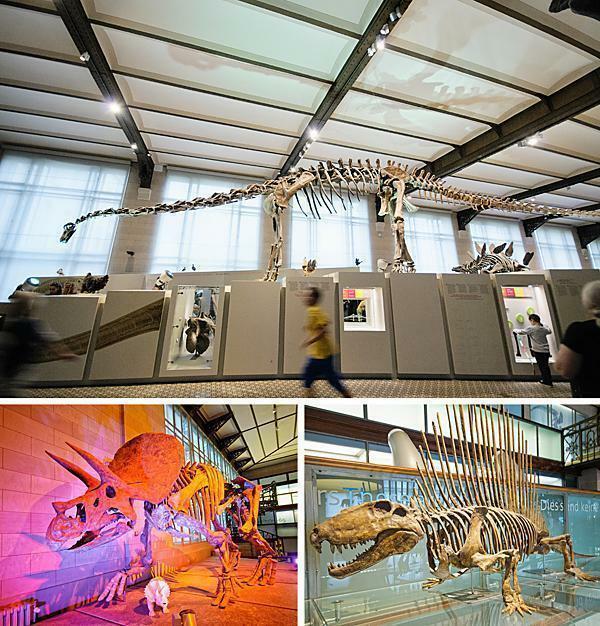 But a herd of one particular species, the Iguanodon, found its final resting place in a tiny town in Belgium and the Museum of Natural Sciences in Brussels, tells its story. I had heard the Museum of Natural Sciences referred to as ‘the dinosaur museum’, but honestly, I didn’t think much of it. 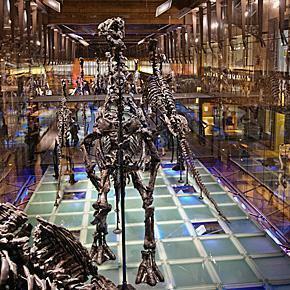 Just about every natural history museum in the world has at least one dusty dinosaur skeleton on display. So, when I finally visited this treasure trove of a museum, I was surprised to learn its dino nickname was truly justified. 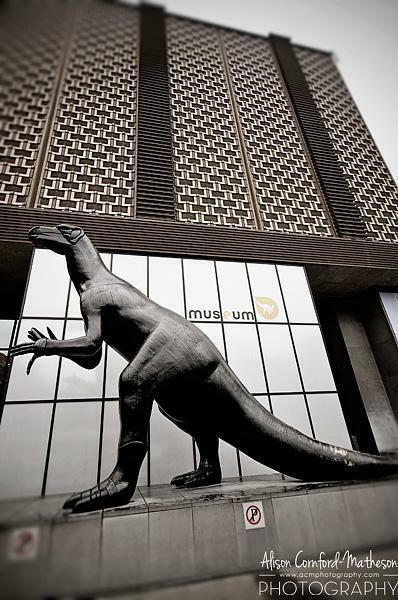 Belgium’s dino-connection began in the municipality of Bernissart, in Hainaut. On, February 28th, 1878, deep underground, two local miners unearthed what they believed to be petrified wood. After showing their find around, a few miners decided to uncover just what was hidden there. What they eventually discovered were 38 individual Iguanodon skeletons. 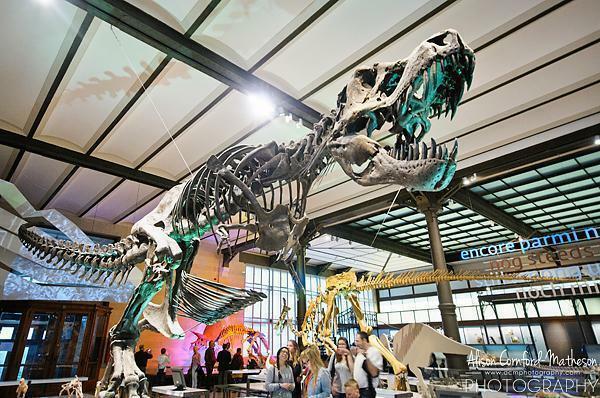 Thirty of the Iguanodons are on display at the Museum of Natural Sciences, making it the world’s largest museum hall exclusively dedicated to dinosaurs. 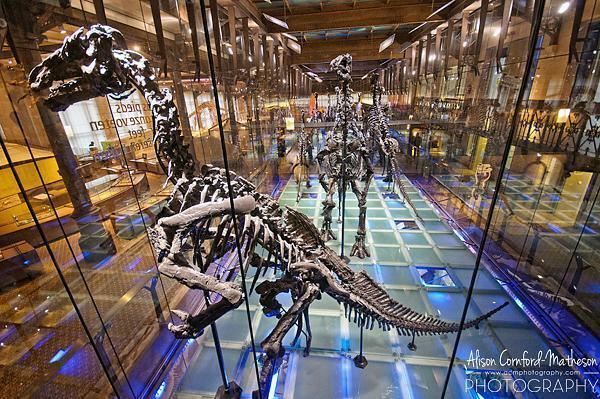 One of the most dramatic displays is a floor to ceiling glass cube, filled with nine towering Iguanodons. Maybe it’s wrong, but they sure are impressive displayed this way! Impressive though it is, scientists learned these early reconstructions were wrong and the Iguanodons actually spent most of their time on all fours. The museum now has one reconstructed skeleton in the scientifically correct posture. But, to me, what is even more fascinating than the giant standing skeletons, is what lies under their feet. 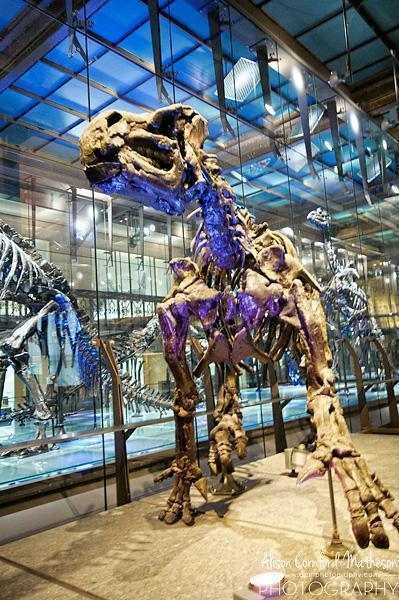 Many of the remaining skeletons have been placed below the ‘dino-cube’ in a replica of how they were discovered in Bernissart, all those years ago. Standing in front of this mass of skeletons, it’s easy to feel the thrill those early palaeontologists must have felt while uncovering this globally significant find. Of course, any self-respecting ‘dinosaur museum’ has to have more than one species, and you’ll find many of the Iguanodon’s contemporaries in the dinosaur hall as well. No dino-display is complete with everyone’s favourite t-rex! 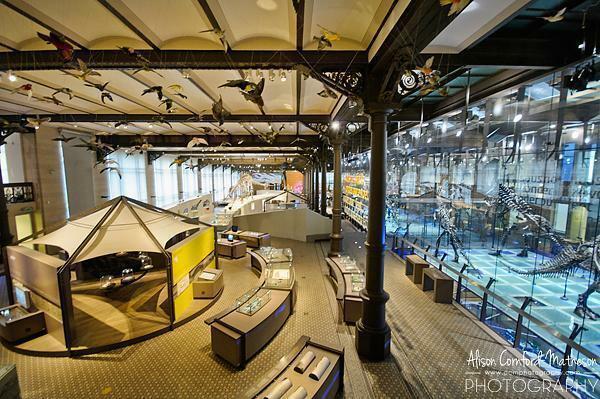 And, despite its nickname, there are plenty of other exhibits, from the natural world, to discover in this fascinating museum including: animals from mammals to insects, rocks and minerals, biodiversity and evolution. There are also workshops, designed especially for children and fascinating temporary exhibitions. From now until November 2014, Baby Animals introduces young children to the lives of babies of other species. The museum is constantly striving to bring its exhibitions up-to-date and make them as interactive and interesting as possible, for children and adults alike. There is plenty to discover here, making the ‘dinosaur museum’ well worth a visit for all ages.